That’s the opening of a new short film about the Common Core Standards produced by the Home School Legal Defense Association. The forty-minute film, Building the Machine, examines conservative arguments for and against the new standards. As we’ve noted in these pages [check out ILYBYGTH coverage here, here, or here, for instance], conservatives have wondered about the implications of these new standards. I’m told by watchful members of the ILYBYGTH community that the film has made a big splash among conservative homeschoolers. What are conservatives supposed to think about the new standards? What do they need to know about them? The conservative HSLDA certainly wants to portray the CCSS in a negative light. As HSLDA leader Michael Farris makes clear in the documentary, he feels the standards make a fetish of centralization, systematization, and data collection. But the film gives ample time for pro-CCSS conservative intellectuals to make their cases. Most prominently, Michael Petrilli of the conservative-leaning Fordham Institute tries to allay conservative worries. The standards, Petrilli argues, resulted from an open and public process. They were not imposed top-down by grasping central elites. Best of all, they will improve education. They will hold teachers, unions, administrators, and students to higher standards. Are they perfect? Not according to Petrilli. But they are the nation’s best shot at renewing academic rigor in public education. Petrilli is joined by conservative standards-boosters such as Mike Huckabee and Chester Finn. But most of the screen time is devoted to CCSS dissidents Sandra Stotsky and Jim Milgram. Both were part of the original validation committee in charge of the standards, and both refused to sign off on the final product. Why? Both Stotsky and Milgram assert that the new standards are not offering the rigorous academic benchmark that they claim to be. And both insist that their dissent was swept under the rug. 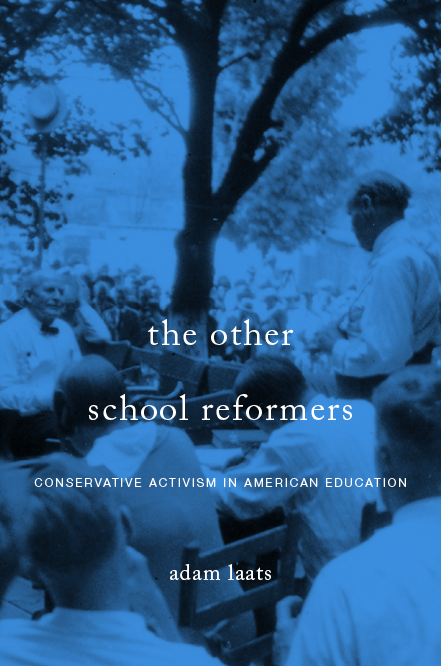 The HSLDA documentary also features conservative critics from the Heartland Institute and Pioneer Institute. The new standards, conservative intellectuals complain, were crafted in a secretive manner, rammed through by the federal government, and do not make academic sense. By aiming at the broad middle, by promising to make all students “college and career ready,” these standards fail to prepare students for either college or careers. More troubling, the standards represent a dictatorial overreach by central government. Mega-rich donors such as Bill Gates greased the slide and snuck this project past the complacent American public. Perhaps more than the messages delivered by the talking heads, the film’s fast-cut montages and sinister musical background send a clear message: Take your kids and run for the hills. We can’t all be as hip, rich, and beautiful as the mom in the opening montage. But the film makes it clear. All of us—beautiful moms and the rest of us alike—need to wake up and smell the Common Core.